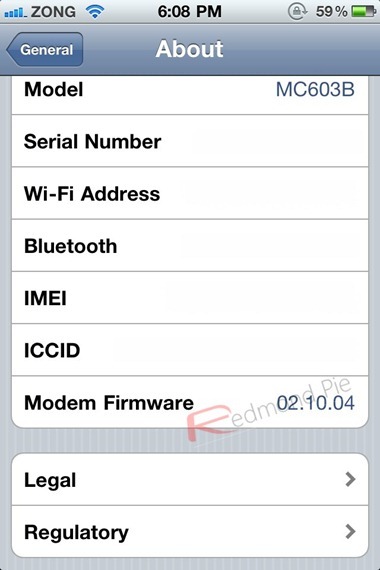 Unlock for iOS 4.2 and iOS 4.1 05.14.02 / 2.10.04 Baseband is on its Way ! Great news for iPhone unlockers! It seems like Sherif Hashim has managed to crash the new 05.14.02 and 2.10.04 baseband which can ultimately lead to an unlock for iOS 4.1 and iOS 4.2 for both iPhone 3GS and iPhone 4 users. But yes, don’t expect them to release it anytime before Apple releases iOS 4.2 to public. If you are an iPhone 4 user, you can either use TinyUmbrella to update to iOS 4.1 without the updated baseband (instructions here), or wait for the new PwnageTool which will help you cook custom firmware files for iOS 4.1 without the upgraded baseband.